Snow leopards, the mountain climber of the big cats. ~ this big cat lives in the high mountains, where it is very cold *brrr*. Strictly speaking in the Himalayas, Pamir, Hindukusch, Altai, Tienschan as well as in other central asian mountains. For example a few countries: Afghanistan, Bhutan, China, India, Mongolia, Nepal, Pakistan, Russia, Kazakhstan, Kirgisistan, Tadschikistan and Usbekistan. ~ it feel well in the open plateau and at highlands of 1800 to 6000 meters with low or missing tree vegetation (better speaking the tree line). ~ the Irbis has a thick coat which has a look of whitish, yellowish-light brown with grey splotch rosettes. One mistook it for a Leopard through its coat mostly. ~ its thick coat reaches from the muzzle to the tail tip. Even under the paws it formed to a protecting pad. So the Irbis can move over snow surfaces well, without sink completely in. ~ the average age is around 15 years. ~ the Irbis is a looner. ~ from Januar till March is the mating time. After a pregnant time of 96 till 105 days usually they get 2 to 5 cups. The cups are blind the first 7 to 10 days. The female hide its cups in crevice during the first 6 to 8 weeks and suckle them. Afterwards they get solid food and the cups accompanies its mother through the territory. Up to an age of 5 months they were suckle in addition. After one year the young animals has to leave their mother and has to look for its own territory. ~ independet of the time of day the irbis is hunting. Their menu extends from blue sheep, ibex, screw goats, musk animals, wild boar, yaks, thar, serau over whistling rabbits, marmot, pheasants and snow chickens, even pets. 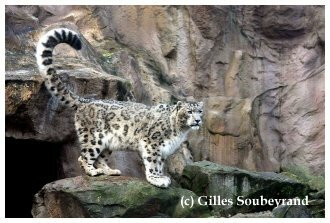 ~ The scientists dispute about the name of the snow leopard. 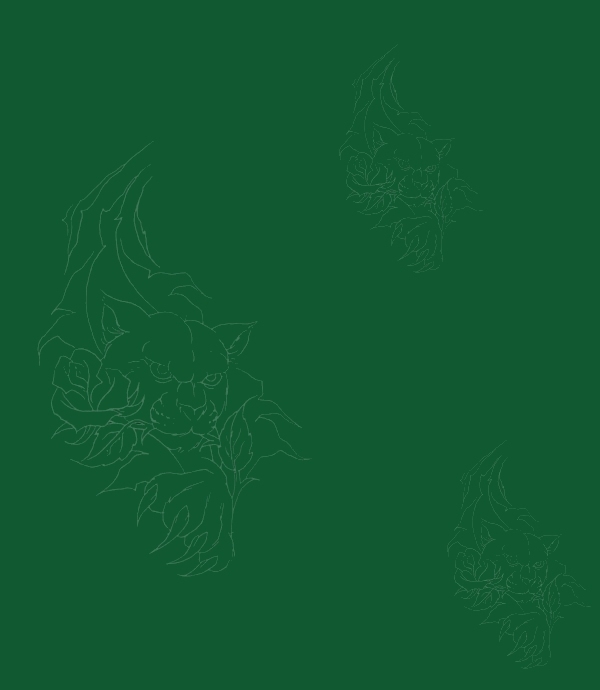 In former times it was classified to the species Panthera uncia, thus a member of the big cats. Now it has its own genus designation, Uncia uncia. 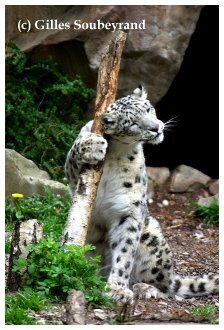 The snow leopard, also mentioned Irbis, it is a carnivore which is on the one hand a big cat as well as on the other hand a small cat, because it has a biological special position. It never roars like a big cat, but it purrs and yelp like a small cat. It also eats its food not in lying but more in crouching (typically for small cats) position. The Iribis is shorter and lighter than a Leopard, and named by the specialists as "middle cat". ~ it can jump up to 15 meters with a single leap. This cannot be imitated by a big cat. ~ in summer time you can find the Irbis over the timber line. In winter one finds it below 1800 meters.